HomeMediaFootball – 2017 Total Caf Confederations Cup – KCCA FC Vs Club Africain – Phillip Omondi Stadium – Lugogo – Kampala. Football – 2017 Total Caf Confederations Cup – KCCA FC Vs Club Africain – Phillip Omondi Stadium – Lugogo – Kampala. 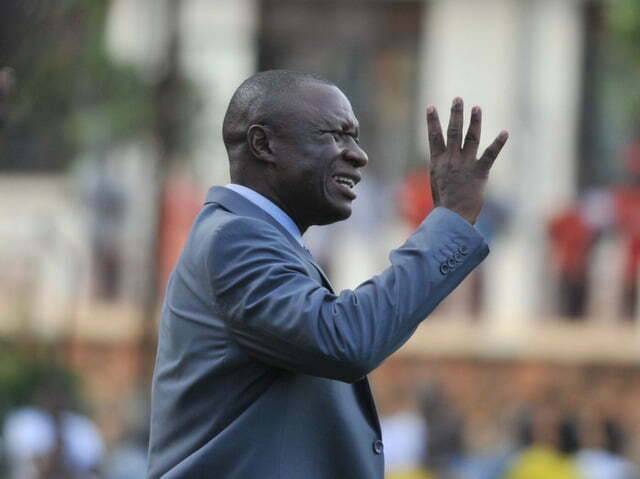 Mike Hilary Mutebi, KCCA FC (Uganda) head coach instructing his players during the 2017 Total Caf Confederations Cup against Club Africain (Tunisia) on 23 May 2017 at Phillip Omondi Stadium, Lugogo, Kampala. Courtesy Photo/Ismail Kezaala.